The first half of the Sziget week is over and if you think that Szitizens are getting tired, they are not! The parties run all night long, and the Island of Freedom got again sold out! When I was walking through the island late at night, I realised that these festival goers do not even need live music playing. They just need any music that fits their current mood, and spontaneous parties by bars and smaller stages can start. My Saturday at Sziget was in the sign of writing articles by the Europe Stage. I really like this relax wooden structure with multiple floors and hammocks! When I arrived to sip my morning coffee and start writing, I saw that the hammocks have big holes in the net so it was basically impossible to use them. 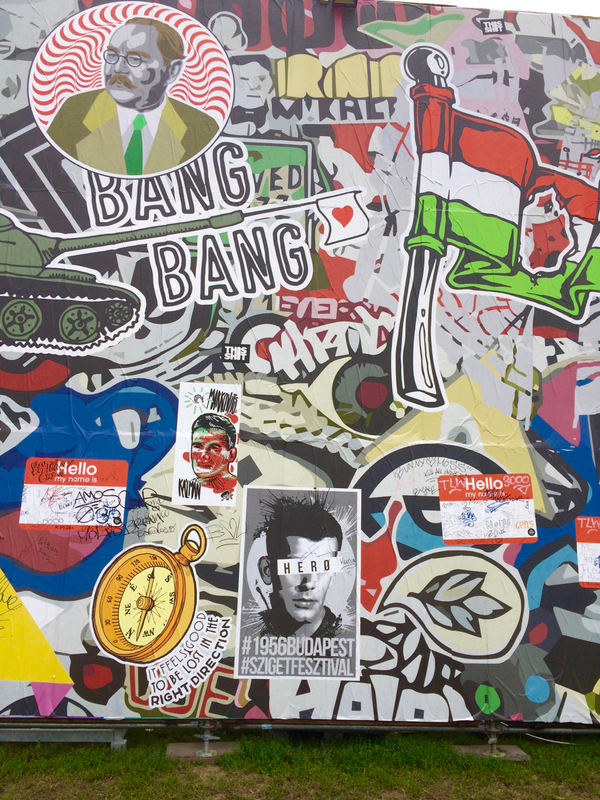 But while I was writing the article, Sziget crew came and replaced them with brand new ones. It also feels quite nice to see people coming with a book in their hand to read. Thumbs up! I am writing articles for you from here! 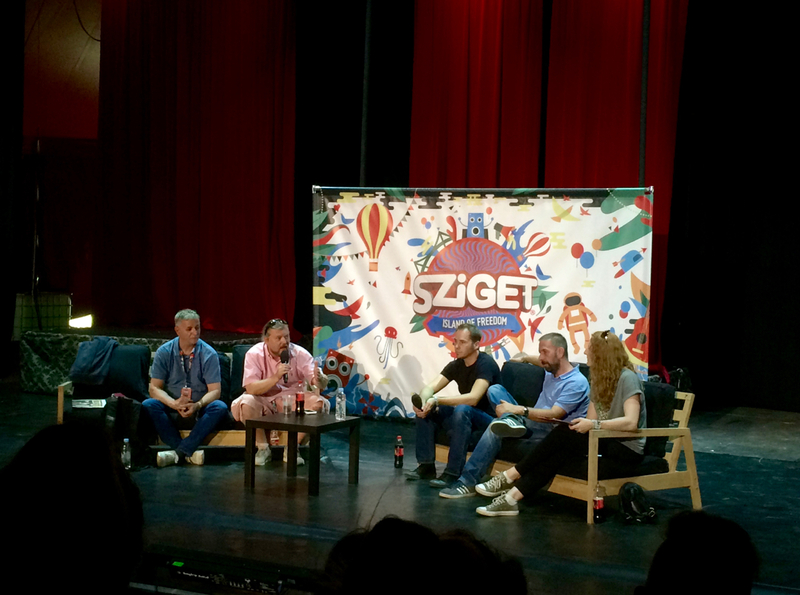 I am a journalist this year at Sziget, so I got a chance to participate in a Sziget press conference. So what did I get to know there? Sziget Festival 2016 is going to break the attendance record from last year (441,000). The Festival is not over yet, so it is hard to estimate, but it seems so far that the magical level of 500,000 visitors will be entering the Island of Freedom. Quite impressive! 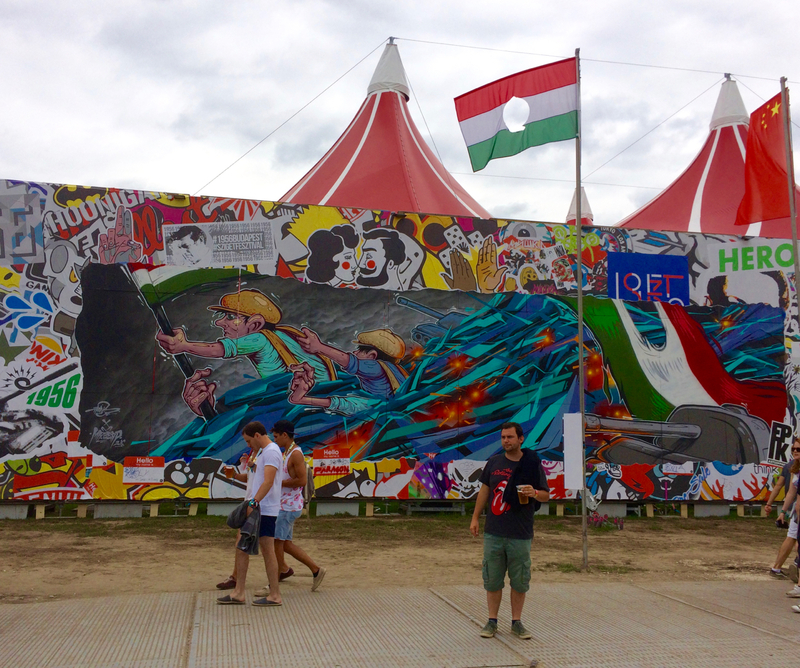 There is an incredible number of 102 nationalities represented at this year’s edition of Sziget Festival. Which are the most populous? Bet you can guess that from the languages you can hear in the streets of Sziget, but to give you some idea – Dutch, French, German, British, Italian, but there is also a higher number of people coming from Israel, Switzerland and Turkey. The net festival budget is around 20 million EUR, roughly half of which gets spent on the artists and the second half goes to running the Festival). The maximum threshold pay per artist is currently set at 1 million EUR (and there are two artists at Sziget Festival 2016 whose gigs are nearing this threshold). The organisers were emphasising that the Sziget product is not just the line-up, but it is about the overall experience. Would you ever guess that 16,000 people are working at the Festival? Károly Gerendai (managing director of Sziget) was also talking about the mission statement of the festival. The Island of Freedom idea is now five years old, and it proved to be a great concept. People trust in the festival line-up, and programs, which can be seen by 40% of tickets being sold this year before the entire line-up got revealed. The festival is really colourful and offers programs and entertainment for all age groups (bulletproofed by kids of Gerendai who visited the Island too and could not even see all the attractions because there are just so many). A few tips from the Program Director József Kardos on what is special about this year’s programs and what you should not miss. Pay a visit to the Tent without borders, TEDx stage, Magic Mirror and make sure to see the Maxim Gorky Theatre performance (every day from 16:00 – 17:00 in the Dance and Theatre stage), which is supposed to be very interactive and engaging. Károly Gerendai was also talking about involving the sponsors in the festival and having them provide an added value instead of just pasting their logos on every corner. I think this can be best demonstrated by the bubble party at Rossmann (for many people a morning shower) or by Aldi, who prepared a grill next to their shop, and they cook for free your shopping. Great idea! 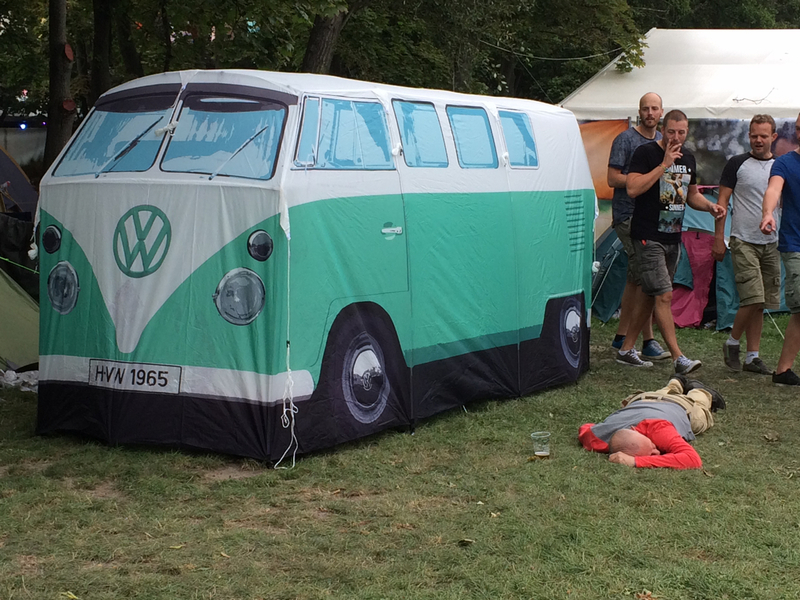 I always wanted to have this tent! It is so cool. The Szitizen next to it is having a break. 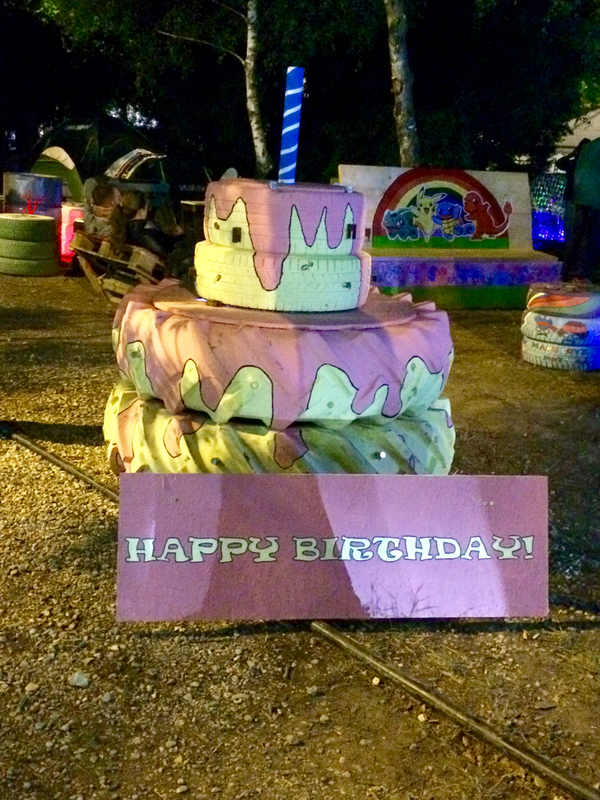 What a birthday cake! For a true tires lover 🙂 In the background, Pokemons – catch them all! What did the day bring? As it was sold out, it was again getting quite crowded. I overheard a bit of the Quimby concert but the sound was somewhat not feeling right. I know this band is quite popular with Hungarians, so it was a bit surprising for me. My first gig of the day was the Soviet Suprem at the World Music Stage. It was very energetic and enjoyable concert, these French guys know how to make people terrified of going to the gulag! I used to love Sigur Rós when I was studying at university and was quite thrilled to see them on the line-up this year! However, I got scared when I saw the band being on the Main Stage and quite early in the day. My fears came true as the music was not matching the current mood of the audience so many people were leaving after few songs. On the contrary, the Kodaline gig in the A38 interested a much bigger audience, and the band was enjoying playing for such masses. 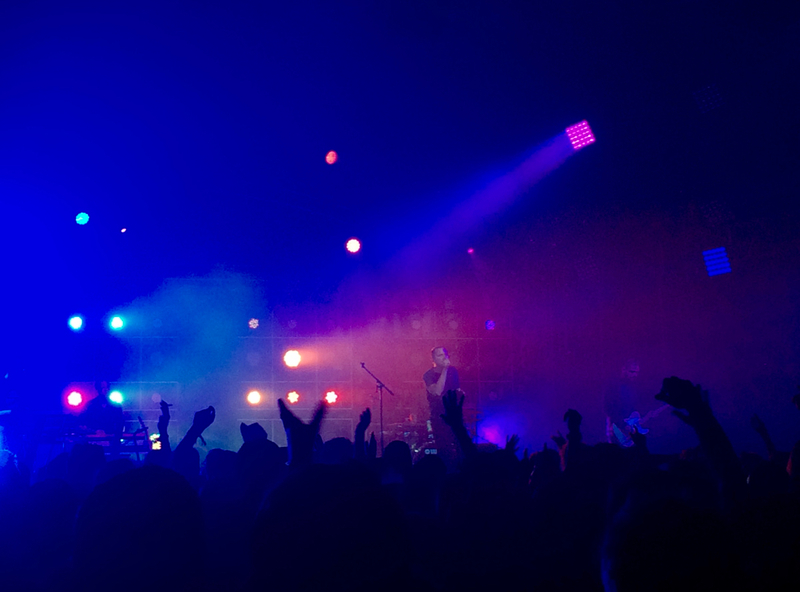 They were a decent forerunner for Muse that attracted a far bigger crowd than Rihanna (IMHO!). The Muse concert was ecstatic as always; people were singing and dancing, and the atmosphere was unique and unforgettable! This was so far the best show I have seen at Sziget Festival 2016. 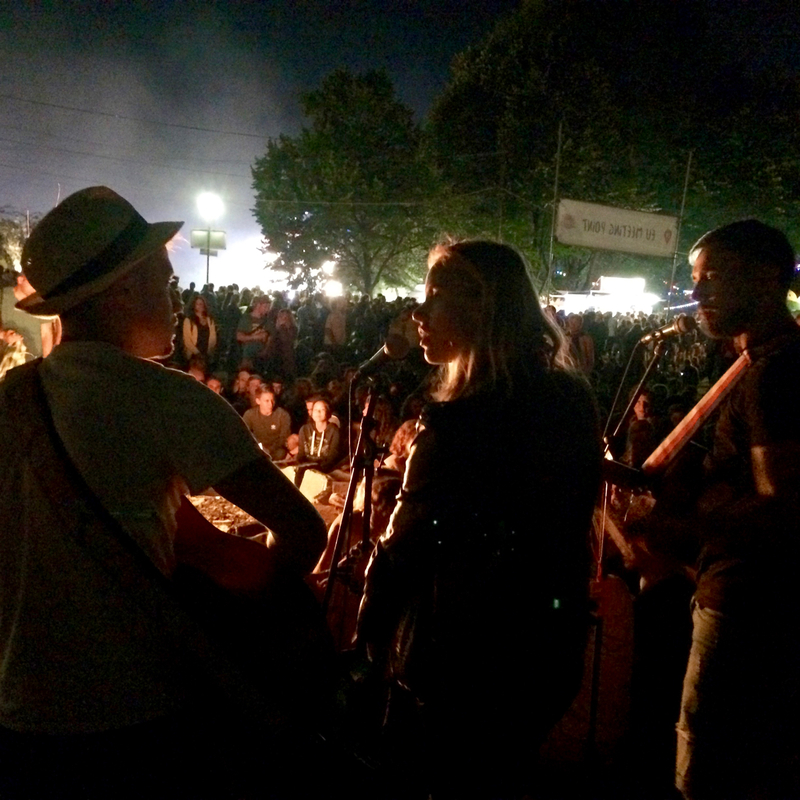 After the concert, I went to check out the Campfire Stage as there was a Czech band playing – Czech Freesome who seemed to be a bit surprised by the huge audience that gathered around the campfire to listen to their songs. I think it was a great idea to move this stage closer to the festival heart. It was quite far from the centre last year (almost at the Sziget beach), and the music from the Colosseum was making it incredibly hard for the performers to play. The last concert of the day for me was Vad Fruttik. In general, I do not go to the concerts of Hungarian bands at Sziget because I can see them several times during the year in Budapest, but there are some exceptions to the rule. This concert was one of them! I just love watching the locals sing in Hungarian. Vad Fruttik’s music is a bit sad and autistic, but these seem to be exactly the spices that make up a good show. They threw in definitely a great one! Vad Fruttik and their crowd! There are three more days to come, I am already quite tired but will continue reporting. I am curious about the performances of SUM41 and Bloc Party! Call me a rebel, I might skip David Guetta 🙂 If you want to see more from Sziget Festival 2016 – check my Story on Instagram, I post every day some funny memories (that last only 24 h! ).